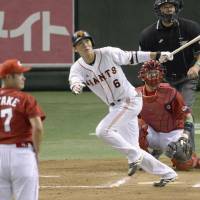 The Yomiuri Giants overcame the mistake that put them in an early hole against the Hiroshima Carp. The Carp weren’t as fortunate on the game’s final play. 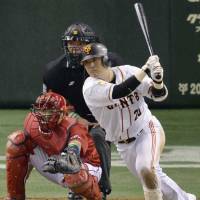 Hayato Sakamoto hit a game-tying home run in the sixth, Shuichi Murata hit a go-ahead single in the seventh, and the infield pair combined to record the final out of Yomiuri’s 3-2 win when Hiroshima’s Masato Akamatsu overran third base in Game 1 of the Central League Climax Series Final Stage at Tokyo Dome. 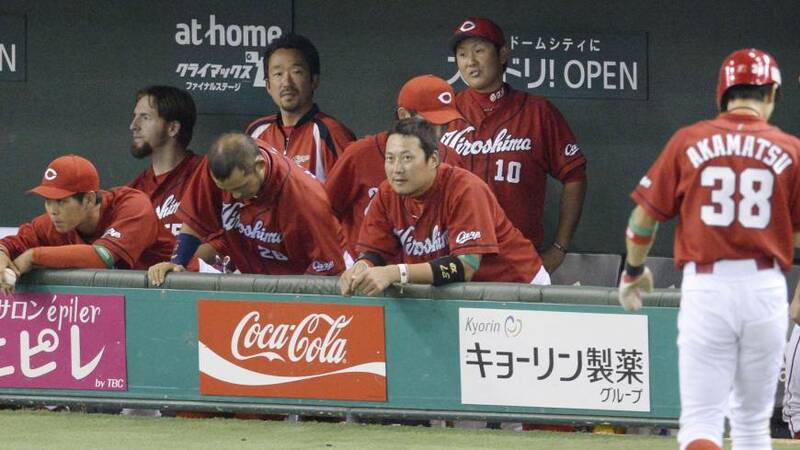 Akamatsu was on second with the Carp trailing by a run and down to their final out. 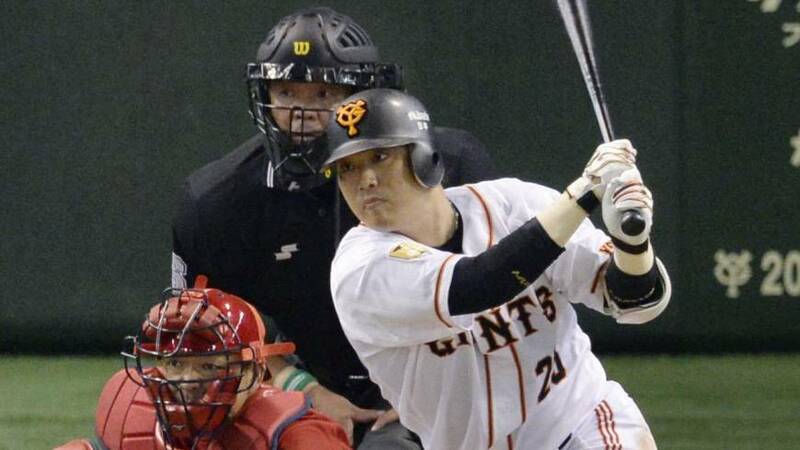 He took off on an infield single by Ryosuke Kikuchi, but made a critical base-running mistake at third, which allowed Giants shortstop Sakamoto to make a quick throw to Murata, who made the tag and sealed the win. 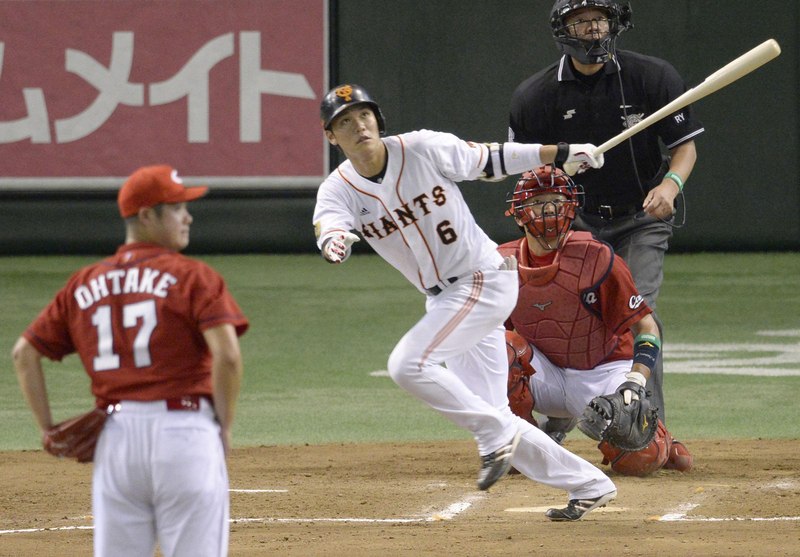 The win was particularly sweet for Murata after his throwing error in the second allowed two Carp runners to score. “It was my error that gave away the first score of the game, so it’s fitting I got the last out on defense,” Murata said. For Hiroshima, it was a tough way to lose a close game. Yomiuri, which began the series with an automatic one-game advantage as CL champion, leads the final stage 2-0. 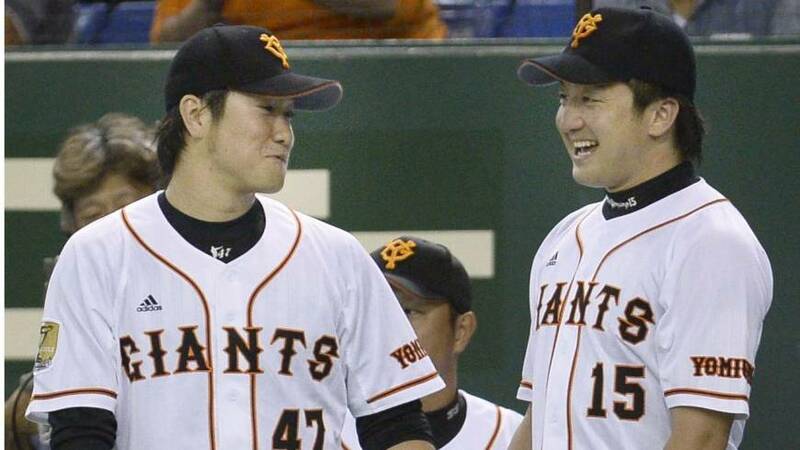 The Giants can advance to the Japan Series with two more wins. 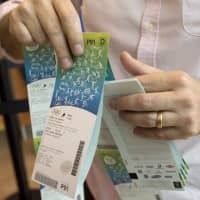 That leaves the Carp, enjoying a revival of sorts after 22 moribund years without reaching postseason play, with a difficult challenge to overcome. 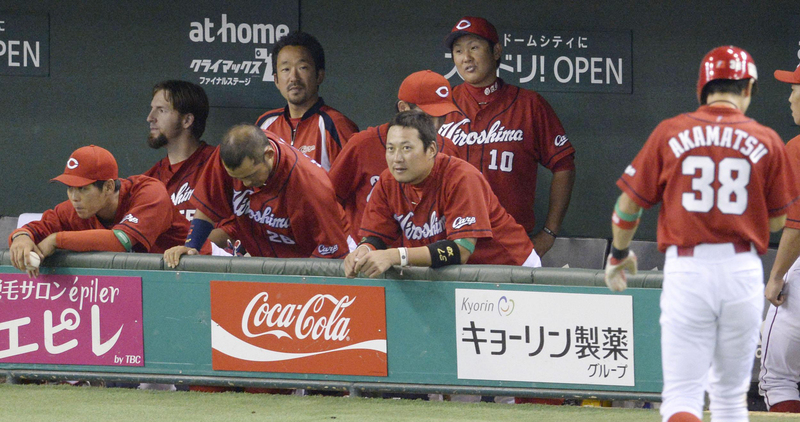 The Carp don’t have much time to dwell on the loss with Game 3 scheduled for Thursday night. 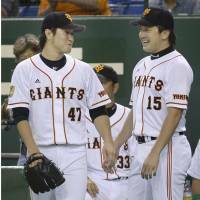 Sakamoto conversely hopes Game 1 was the start of something big. 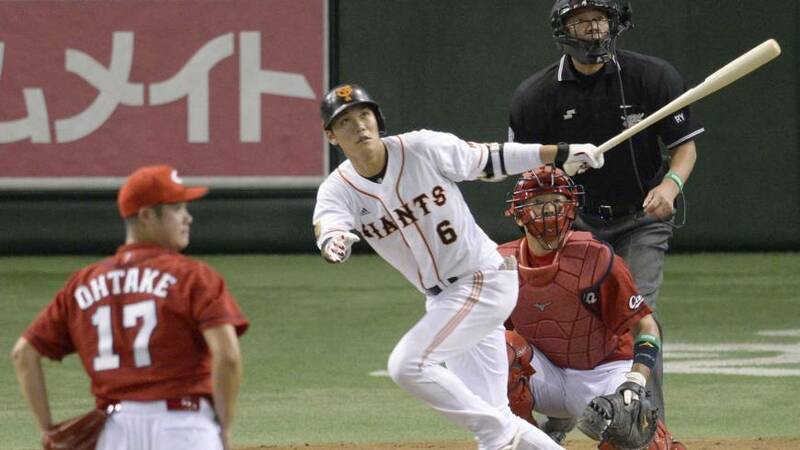 Yomiuri’s star shortstop slumped to a .256 average this year, but followed a pair of strikeouts with a game-tying solo homer that just got over the wall in left, in the sixth inning on Wednesday. 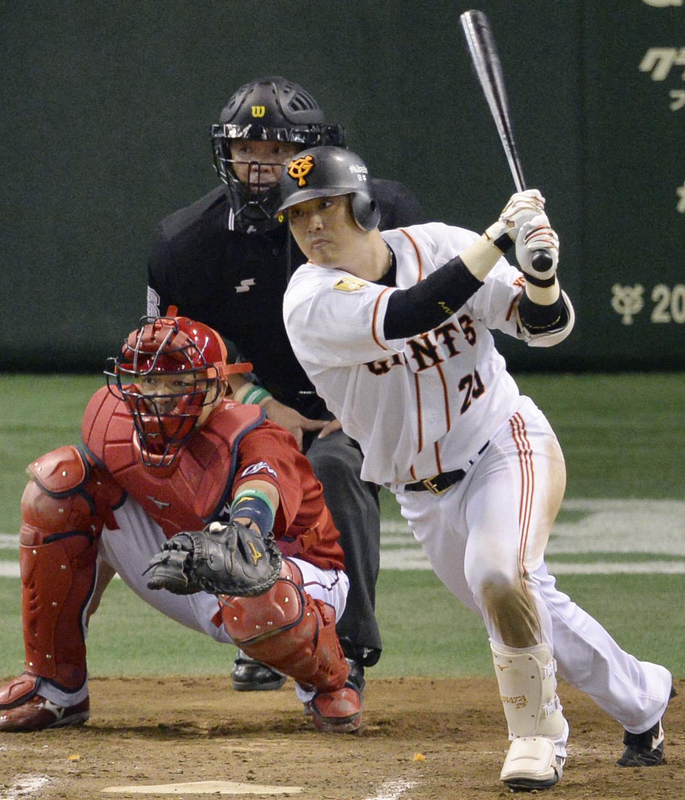 Murata collected three of Yomiuri’s six hits, while Jose Lopez drove in the Giants’ first run of the game with a sacrifice fly in the third. 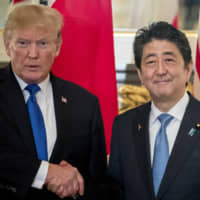 “I was focused on the pitches I wanted to swing at and was able to make good contact,” Murata said. Kikuchi led both teams with four hits, after flying out in his first trip to the plate. The Carp failed to record an RBI and will need more production at the plate to win the series. 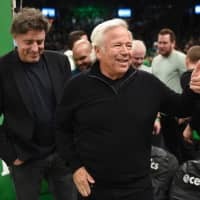 The two teams put on a good show for a crowd of 45,107 that included Rachel Robinson, widow of Brooklyn Dodgers legend Jackie Robinson. Jackie Robinson broke baseball’s color barrier in 1947 and spent 10 years in the majors. The Hall of Famer’s last appearance with the Dodgers came in Japan during the team’s 1956 goodwill tour. Rachel Robinson, visiting the country for the third time and accompanied by daughter Sharon, eagerly took in the action on the field. She is in town to help promote the release of the move “42,” which chronicles her late husband’s move to the major leagues. Tetsuya Yamaguchi threw a scoreless inning to earn the win in relief and Kentaro Nishimura worked the ninth to record the save. 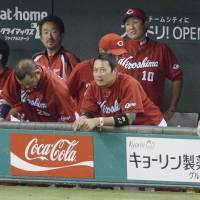 Hiroshima’s Ryoji Yokoyama gave up Murata’s hit in the seventh and was charged with the loss. 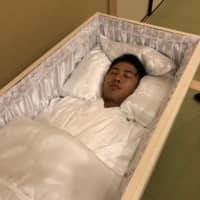 The Carp are expected to send ace Kenta Maeda to the mound in Game 2 in hopes of getting back into the series, with Tomoyuki Sugano likely to pitch for the Giants.